Not a year ago, I was approached by a couple of Brothers from Virginia about a new venture in Masonic entertainment / education, one of whom was Bro. Jason Richards. Richards is from Acacia Lodge in Clifton Virginia. He and the other Brother (Jon Ruark) wanted to start another podcast/vidcast. Since then, Jason and I have grown close due to our weekly interactions on the YouTube live show "The Masonic Roundtable" which is a weekly show much like the view. You can read more about it in an earlier blog post. Jason writes for his own blog cleverly titled "The Two Foot Ruler - Masonry in Plain Language" and it is fantastic. Jason recently wrote a guest piece for us right here on The Midnight Freemasons and it received thousands of hits. You can read it here. Last week, I was avidly looking for more contributors that would write regularly for us here and Bro. Jason sent me a message on Facebook. 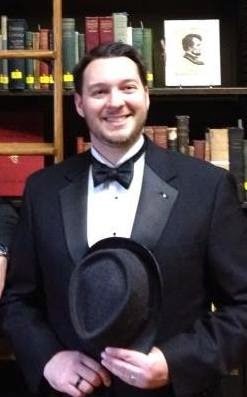 Without delaying this exciting news any further, I am so happy and excited to announce that Brother Jason Richards is the latest to join the Midnight Freemasons as a regular contributor. I know you will all enjoy his down to earth, yet profound writings on our craft. Welcome aboard Brother Jason Richards! enjoy the comradery that you guys have when doing the show !